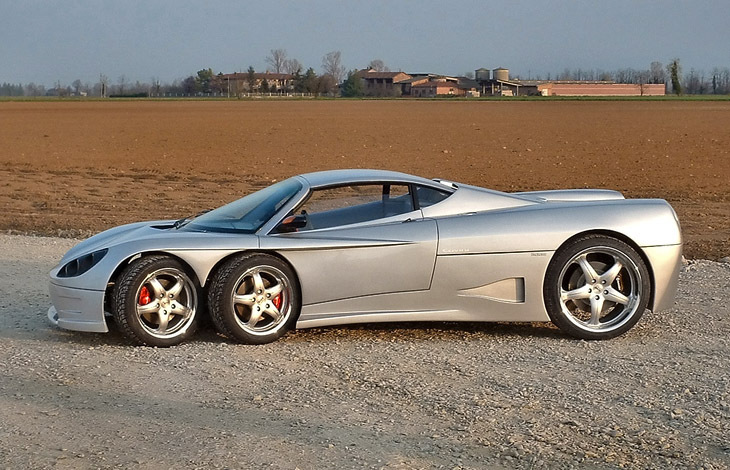 Italian manufacturer Ferruccio Covini's radical six wheeler, the C6W, has been in the pipeline since the mid-'70s. Unfortunately due to safety concerns general engineering difficulties and the costs involved in developing a fully-functional car, the vehicle has only recently come to fruition. 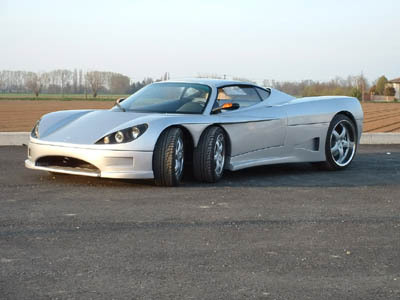 Covini was assisted in his venture by several larger companies who provided support and components for the car's development. Firstly, despite its rarity, six wheels on a car isn't anything new. One of the first to utilize the layout was the 1963 Ford Seattle-ite XXI concept. However perhaps the best known six-wheeler was the Tyrrell P34. A famously unorthodox Formula 1 race car with a similar 4-2 wheel layout to the C6W. When it was debuted at the Spanish Gran Prix in 1976 it proved extremely competitive, and later in the year at the Swedish Gran Prix the Tyrrell drivers took took both first and second place. The benefits of another set of tires touching the tarmac were obvious. However whereas the six wheels on the F1 cars were there to provide an additional two contact patches with the race track, thereby improving cornering speed, for the Covini C6W the reasoning is threefold. The four front wheels are mainly inspired by safety concerns. Two front wheels at each corner means a front tire blowout will not cause the vehicle to lose control because the other wheel can carry the weight of the vehicle and provide control while the driver brings it to a stop. Then there's the additional stopping power afforded by four front disc brakes, and four tire footprints to transmit the force - although the individual area of each tire footprint is smaller than that of a traditional tire, the total area is greater. Covini also claim there is less risk of aquaplaning because the two foremost wheels clear the water for the ones behind and allow better road adhesion. Comfort is another consideration - less unsprung weight at each wheel allows the suspension to control wheel movement better and the overall ride benefits from more evenly distributed reaction forces in the suspension. The drop in the individual unsprung weight of each wheel also offers much better grip and better directional stability - with a well-matched set of tires, a six-wheeler can be expected to have higher cornering speeds than a four wheeler. 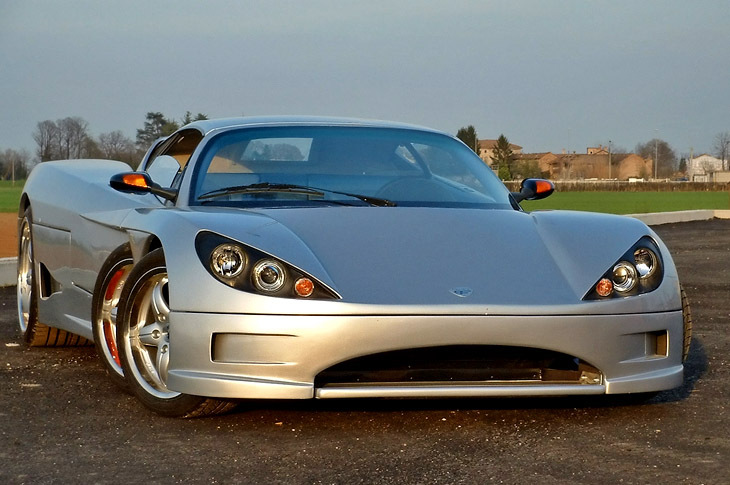 The rest of the Covini C6W is less remarkable. The car is based around a tubular steel frame with carbon fiber structural elements. The bodywork is a combination of fiberglass and carbon fiber panels. Powering the car is a 4.2 litre V8 engine which produces 420 horsepower and 346 lb-ft (470 Nm) of torque. Enough for an impressive 185 mph top speed. 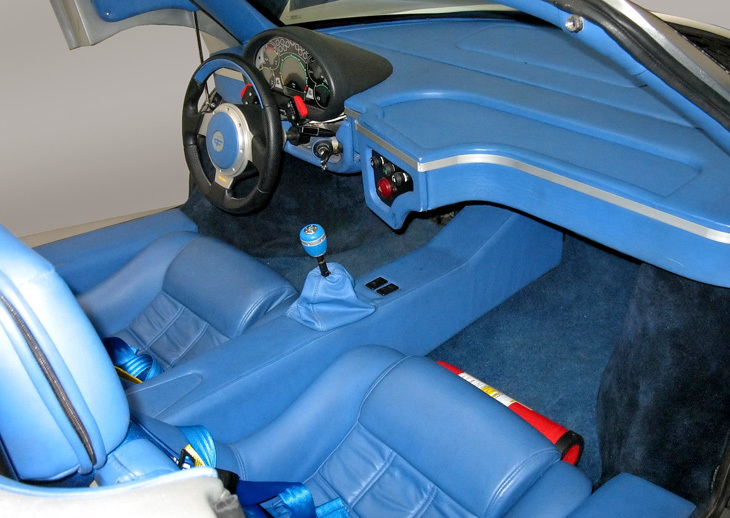 The interior of the car is pretty plain in comparison to the exterior. Access is via scissor doors, and the cabin offers very little in the way of creature comforts. The driver gets a rather busy looking instrument cluster, while the passenger gets, well, nothing. Not even a glovebox. 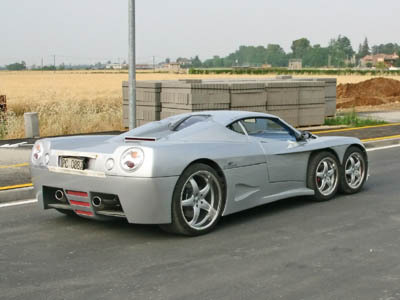 The Covini C6W is available in both coupe and roadster form and sold through the brand PMI Covini. 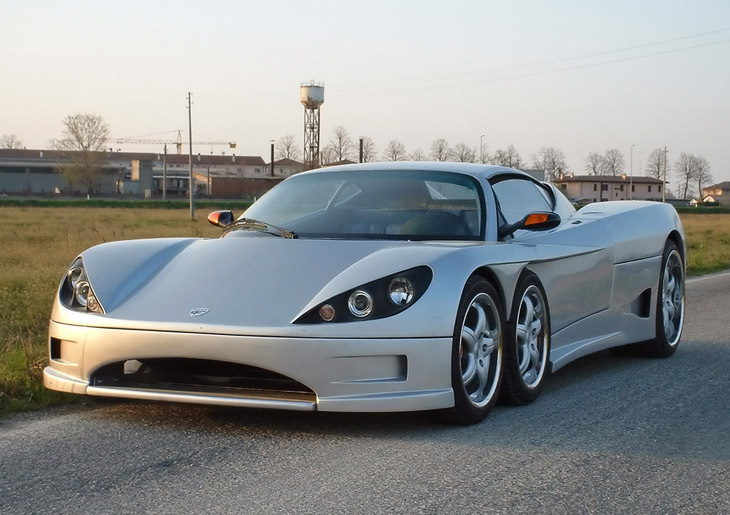 The car is manufactured in Cortemaggiore, Italy. The price? A mere $400,000.